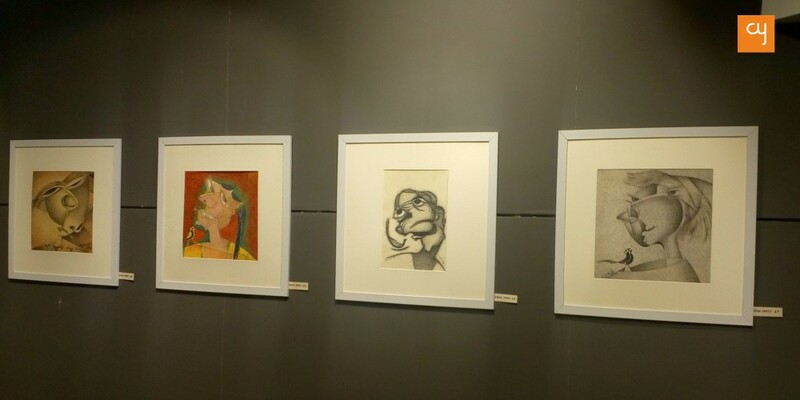 The Herwitz Art Gallery of Amdavad Ni Gufa was brimming with creativity during the inauguration ceremony of the Speak Sweet Exhibition by artist CD Mistry. The exhibition will be on display until April 30, 2017. 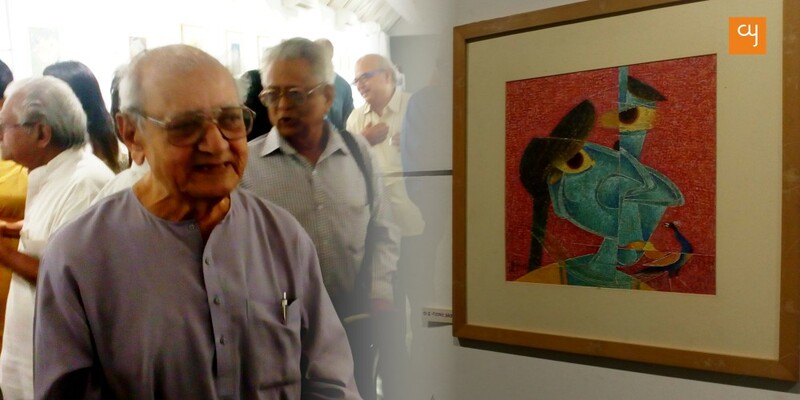 Mistry, an octogenarian now, had his friends, contemporaries and his favourite students as an audience at the inauguration of the Solo Show. 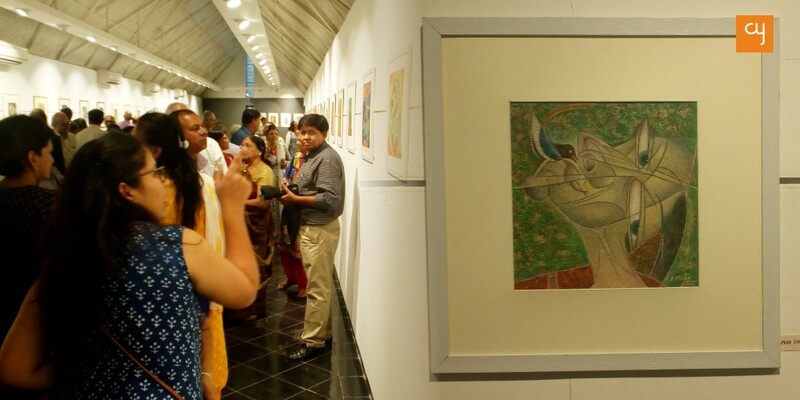 It was moreover a celebration with friends, where laughter and nostalgia filled the gallery air and gave a flavour to the artworks, making the show title sound apt – Speak Sweet. Mistry’s ally and former colleague at CN Fine Arts Natu Mistry, another friend and artist Amit Ambalal, Mistry’s wife and various family and family like members were present to honour the senior artists’ creativity. Mistry’s paintings are mostly detailed pieces depicting cubist faces and figures. With colours vividly contrast but congruent with the subject of his other themes, where he has portrayed mythological entities with intricate strokes as if it was painted with a single strand of hair, merge within each other beautifully like a flowing river. When we asked Mistry about his artworks, he simply replied, “I will keep on doing these works until my physical self will support me. But my mental imageries are going to stay with me forever.” His innovative designs are an inspiration from tribal art, and figures. It is seen that the detailing in work is a legacy inherited from the family since his father was a craftsman who engraved detailed designs on home decor materials. Travelling inspires his art, and Mistry acknowledges the influence of his sojourns on his perceptions; he has travelled to nearly 15 countries in his lifetime. Mistry has been accorded with more than 24 National and State titles and has done numerous Solo and Group Art exhibitions across India till now. A former principal of CN College of Fine Arts, the veteran artist, continues to be flexible and experimental within each of his work. Truly an inspiration for the young artists in making.